It’s time for another great sketch with My Favorite Things! 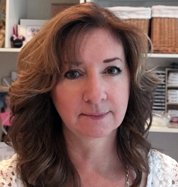 This week I’ve used Little Witch from the Pure Innocence collection. 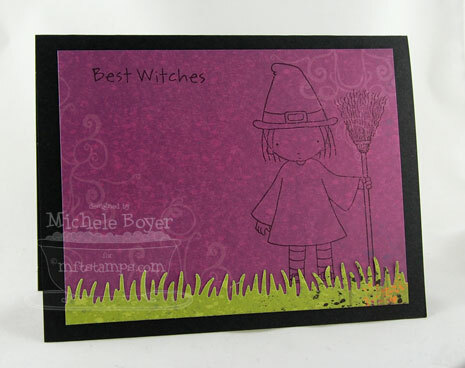 She was stamped and colored on X-Press It Blending Card then cut out and adhered. 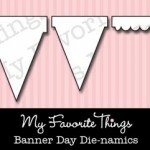 I used Banner Day Die-namics to create my flags with the “B” and “O” stamped from Spider Web Sentiments stamp set. I used Fresh Cut Grass Die-namics along the bottom and stitched on a little Lemon Drop button. 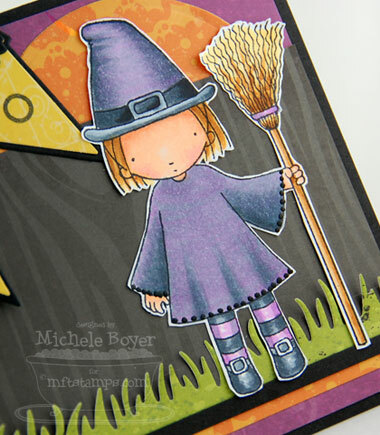 I first colored my little witch’s dress and hat in gray Copics then colored over with V15. Along the cuffs and hem I added tiny dots using a black Sakura 3-d glaze pen. 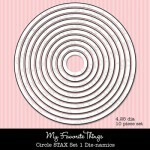 The moon was die-cut using Circle STAX 1. A simple finish to the inside. <—Here’s the sketch if you’d like to play along. You can find direct links to more samples HERE. 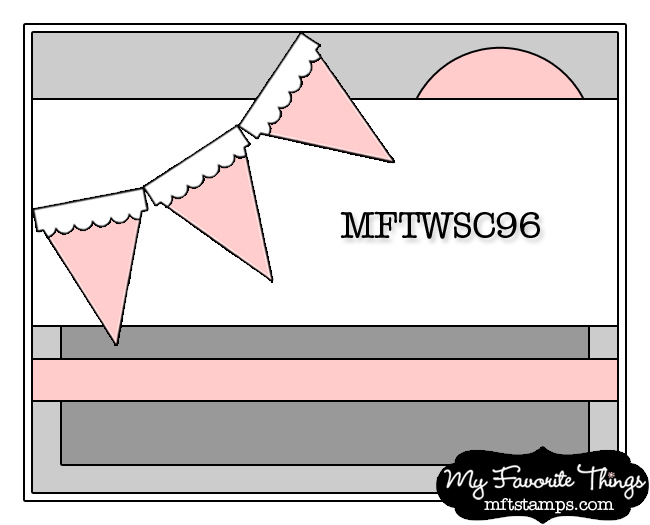 And remember, if you upload your card to the SCS gallery using the keyword MFTWSC96, you will have the chance to win up to $20 in MFT money! One winner is chosen at random each week. More info can be found in the MFT Forum in SCS. Thanks for visiting! And if you celebrate Halloween, have a safe and FUN night! 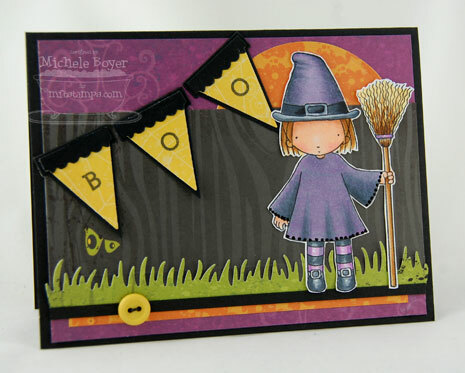 Stamps: My Favorite Things “Little Witch” (Pure Innocence) and “Spider Web Sentiments” Ink: Memento Tuxedo Black Paper: MFT Black Licorice, X-Press It Blending Card, Recollections “Halloween” (5×7) Accessories: Copic markers (E00, E11, R20, Y21, E31, E35, W1, W3, W5, W6, W7, V15, 100), MFT Circle STAX 1, Banner Day and Fresh Cut Grass Die-namics, black Sakura 3-d glaze pen, Lemon Drop button, string. Finished size 5 1/2″ x 4 1/4″. what a darling card! perfect for today. Love your witch! Love this card! Happy Halloween! This is super cute!! I have this stamp somewhere…I’m pretty sure it’s still uninked. I better get started early for next year LOL! Love how you did the inside too! This is fabulous Michele! I love this colour combo for Halloween!! This is spooktacular! Love the inside as well!!! Michele, this is awesome! Love how you’ve coloured her and created the scene!! This card is so adorable! I love the eyes on your paper peeking in the background! You have coloured this PI image so wonderfully! Such a fun card!